On Saturday January 5th Soccer AM, Sky1 and Sky Sports Football, featured presenter John Fendley discussing our presentation packaging on live television! For licensing reasons we’re unable to show the clip here, but in true Soccer AM style, John and his co-presenters and guests discussed the launch of the new soccer ball for the Emirates FA Cup, complete with packaging designed by GWD Ltd! What was that quote again: ”Lovely box, great bit of design.” Thanks very much, John! So how did we come to be here? 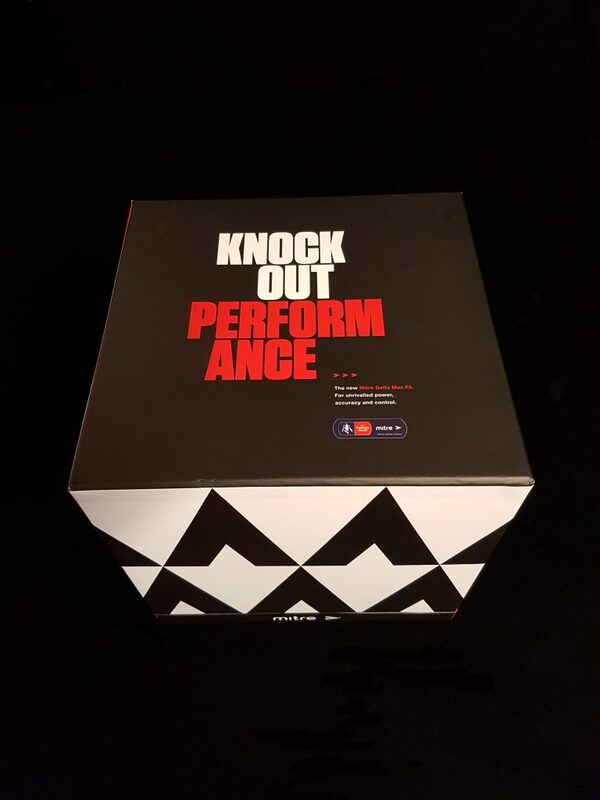 Well, you may recall from our blog that in March 2017 we were commissioned by Mercieca Ltd a UK-based integrated agency, who wished us to create presentation packaging for Mitre – who were re-launching their Mitre Delta football, in that instance for the Sky Bet Championship and the Scottish Premier League. This launch was for The Emirates FA Cup (from the third round onwards – which coincides with sides from the top two divisions entering the competition and was held over the weekend of the 4th – 7th of January) for Mitre to promote its partnership with The FA. Mercieca were briefed to come up with an integrated campaign to promote the launch. 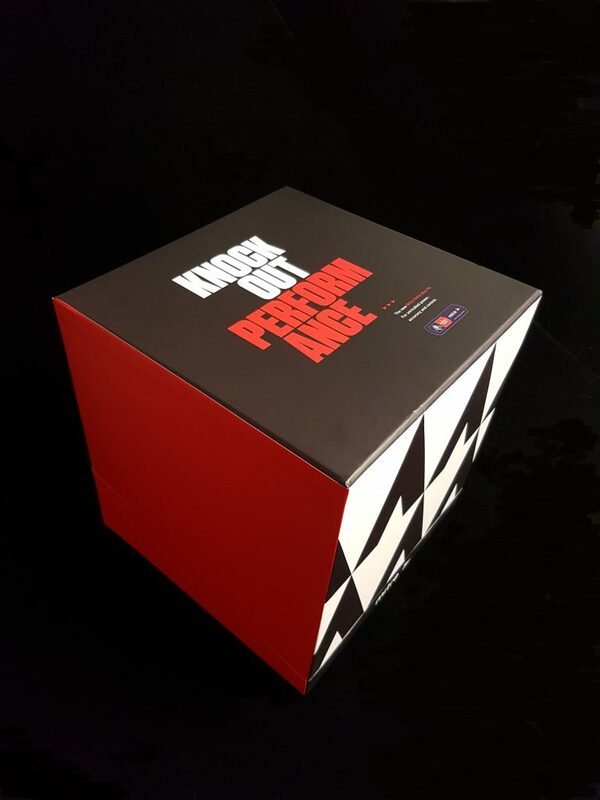 The packaging was an important part of this activity which culminated with a showcase of the ball on Soccer AM, It was also included in the BBC FA Cup opening titles and across all televised matches and Match of the Day. The clever structural design, which we first created two years ago for Mercieca, creates an angled plinth for the ball to rest in that also doubles up as a display plinth. This also creates a closure for the lid, which can be lifted off easily to reveal the ball in all its glory. This construct is ideal for presenting the product in its best possible light, creating a ‘wow’ factor amongst clients and audiences. If you work for a design agency or have a prestige product that would benefit from the highest quality presentation packaging, please get in touch with GWD Ltd via the details below. 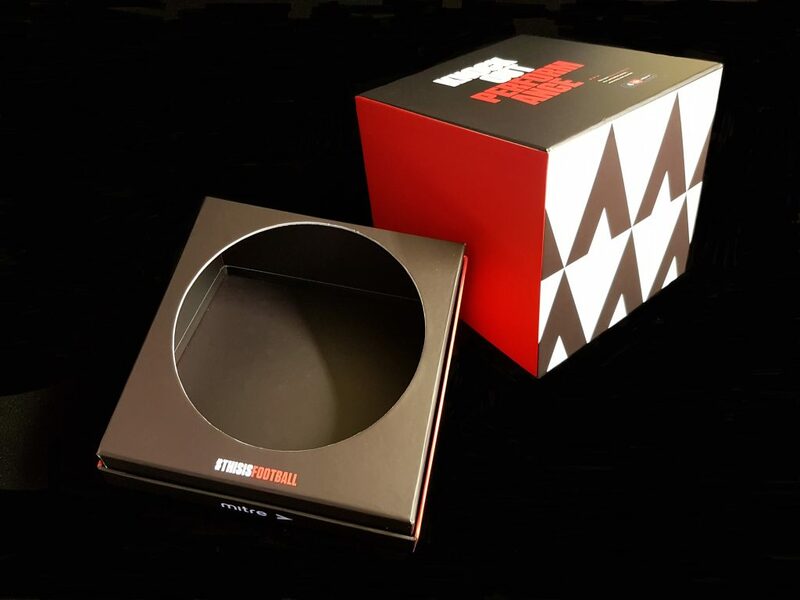 It is possible to work alongside our designers to come up with a unique box that is perfectly tailored to your product. We are not wholesalers but a manufacturer of presentation and promotional packaging; you are at source when you come to GWD. We design and make the vast majority of our boxes here in the UK, meaning we have no minimum order requirement and total control over lead times. This entry was posted in Presentation Packaging, Specialist Packaging, Sport and tagged Emirates FA Cup, Mitre Football, Sky Sports. Bookmark the permalink.